Here's a bike that attracted a lot of interest at Kneel's Wheels: Luke Booth's Peugeot. 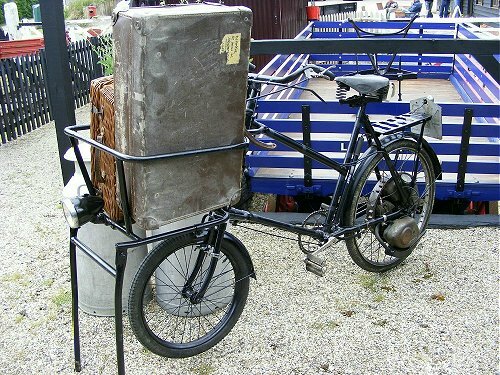 It's a typical French BMA (Bicyclette à Moteur Auxilaire - the French equivalent of our autocycles) of the 1930s. Very simple and - as Mick Cook can verify - very light. Peugeot produced quite a range of these machines during the 1930s and we reckon that this one, with its spring forks and drum brakes, is near the top of the range: a P50T from 1935 to 1937. The Garelli Como first came to these shores in July 1985. 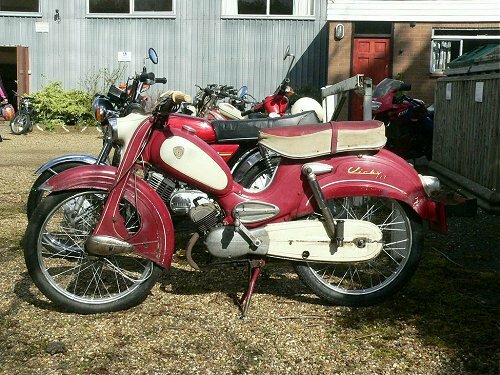 A typical 'Europed' with its oversized frame tube doubling as a fuel tank, the Como was a single-speed automatic 49cc machine with front and rear suspension. The Como 2, a two-speed version, came in September of the same year. Both the Como and the Como 2 were also available in De Luxe forms. The only difference was that the De Luxe had flashing indicators. Here's a VéloSoleX 5000. Many of the VSXs of this era that you see on club runs are personal imports from France. However, the rear numberplate of this one carries an original 1986 registration mark and the logo of Mota-vation - the company set up in Old Kent Road by Geoff Hayman to sell Solexes. So, it looks as if it's a 1986 VSX 5000, sold through Mota-vation. But ... production of the model 5000 ceased in 1982 and this one is even earlier - made before Motobécane had taken over VéloSoleX in 1975. 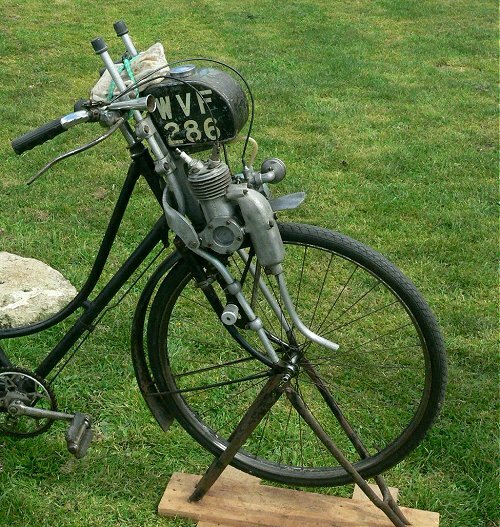 The front mudguard extension being painted white instead of the frame colour, the lack of a metal ID tag riveted to the front of the steering tube and several other features all confirm that this is a pre-Motobécane model. First published in The MAC in March 2008 - revised June 2008. 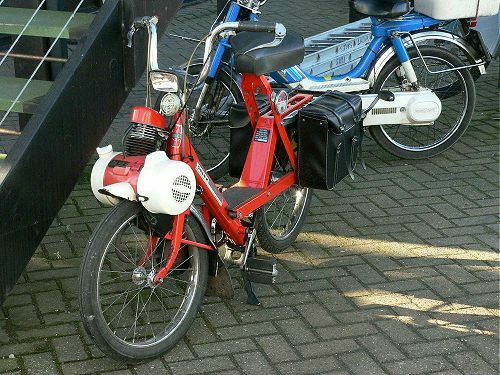 Ef's Kreidler. This is a K54 Florett from 1959 - the first year that this model was made. It's a kick-start model with a 3-speed hand-change, which confirms it as an early version. Ef tells us that Kriedler produced 67,000 of this model and that, according to the specification, its 3.6bhp engine gives it a top speed of 45mph. Good figures for a moped (or, strictly, Mo-kick) but nothing compared to the power some of Kreidler's later Florett RS (Rennsport) machines could produce. We haven't featured a 'proper' cyclemotor yet in this column, so here's one. 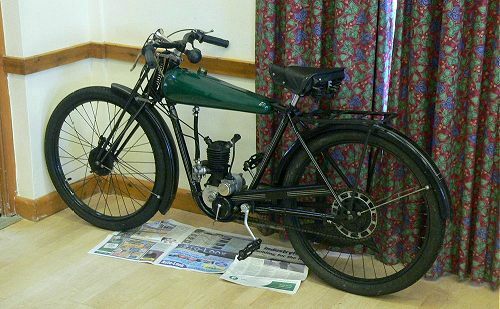 Dave Whatling can be relied upon to bring a cyclemotor to club events and this time he chose his GYS Motamite. This one was built in 1950 and it's a roller-drive unit. 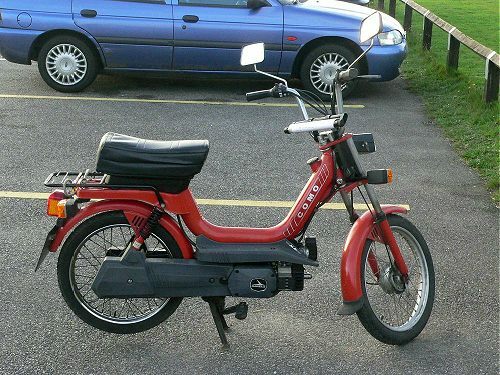 Later versions were marketed as the Cairns Mocyc. 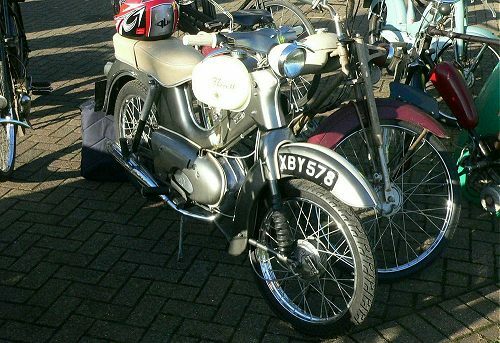 This Victoria Vicky 117 was one of the rarer mopeds seen on the Radar Run. It's a 3-speed machine with leading-link front suspension. Maybe its rarity is due to the fact that the 117 was only imported to the UK between June 1963 and October 1964. Carl Harper's Kerry Capitano. The Kerry Capitano range of machines were actually made in Italy by Testi. Kerry (later to become Partco) imported a selection of machines from the Testi range and simply re-badged them as Kerry Capitano. As well as the 2-speed, 3-speed, Scooterette and the sports-styled Grand Prix, Kerry also brought in examples of the Weekend Cross and a three-wheeler. 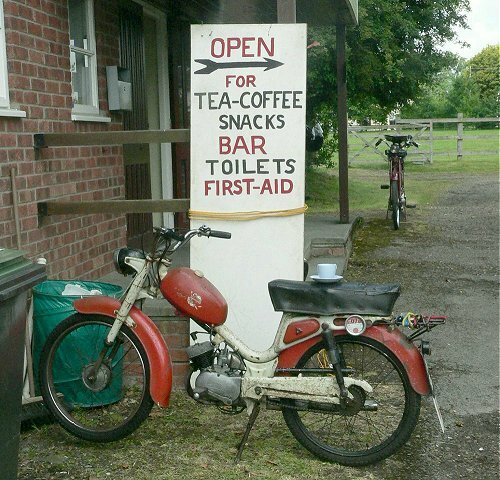 Luke Booth's Cyclemaster-powered trade bike was one of a number of carrier machines present at the Horham Run and is posed here at the Mid Suffolk Light Railway - the halfway stop on the ride. If anyone recognises the make of the low-gravity carrier cycle (the front stand mounting should be distinctive) Luke would love to know.